U.S. Marine Gen. Joseph Dunford — speaking Aug. 8 to the Reserve Officers Association convention in Washington via videotelconference — said he reminds his forces that war is a clash of wills and now was the time as the coalition forces transition to training, advising and assistance roles that they need to show more endurance and more will than their adversaries. 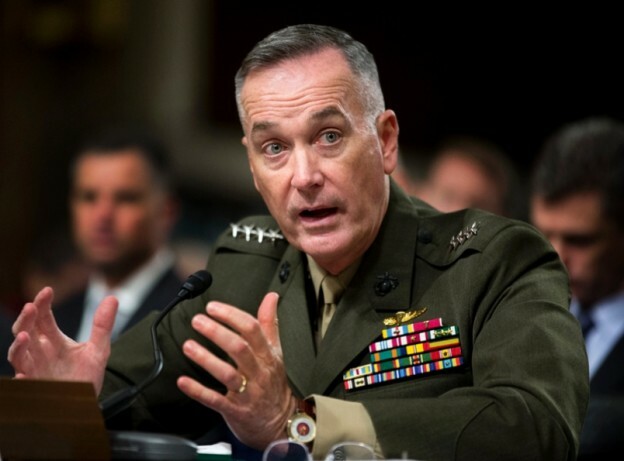 Dunford said the Afghan security forces are capable of providing a secure environment in the country and the necessary security to provide a transparent election. The yes was qualified to the Afghans able to provide security across the country after NATO and collation forces leave in December 2014. Some aspects of the security apparatus in Afghanistan will need Western assistance. One example he used later was developing the Afghan Air Force as requiring a coalition presence after December 2014. Dunford said that NATO recognizes this and Germany, Italy, Turkey and the United States have agree to lead transition efforts regionally once agreements are reached with the Afghan government to cover their presence in 2015 and beyond. Exactly what they will do depends on the agreements. But the Afghan forces have proven themselves in tough situations, such as Logar Province, in driving out the Taliban. “I wasn’t so optimistic a few years ago,” Dunford said. Afghans also have noticed the change. He predicted a few more months of “tough negotiations with compromises” over a continued coalition presence as Afghans assert their political sovereignty. At the same time, there is a psychological aspect of the transition inside Afghanistan as the December 2014 date approaches. Dunford described called the departure as a “Y2K effect” that causes some to look at that date as approaching a cliff. That apprehension shows itself in declining real estate prices and young people trying to leave the country. From this fall into the spring, he said the campaign plan would assist the Afghan security forces in winning the confidence of the people that security is possible in 2015 and beyond, working with the Ministry of the Interior on the security of the upcoming April presidential election and the government overall in how to sustain a modern army and police force that is capable of keeping up the pressure on the Taliban, related criminal networks and Al Qaeda. Sixty thousand American service members remain in Afghanistan, about 20 percent come from the reserve components. Dunford said that he understood that Americans were weary of war and “don’t share my optimism” about the Afghan government and security forces, but they needed to remember that is was ‘’in America’s interests” to go into Afghanistan in the wake of the 9/11 terrorist attacks on the United States and make sure the country did not provide a haven for terrorists to launch new rounds of attacks. “If the trajectory that we’ve been on for the past couple of years continues for the next 16 months, I am very comfortable about where we will be with the Afghan forces,” he said.